■ S2000 AP1 | AP2 (1999-2009)Please check with us for specific parts for AP1/AP2. 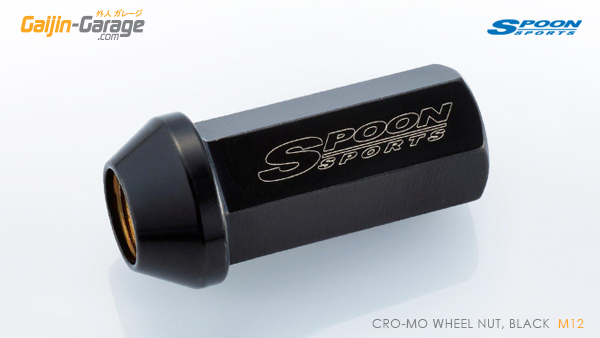 Spoon F20C Short Block, Blueprinted and Balanced to Spoon Specifications - Factory Tolerance 2.0g - Spoon Tolerance 0.02g. Based on Brand New OEM F20C Short Block, Spoon Balanced Piston Set, Connecting Rods, Crank etc. Spoon 2P Head Gasket Included. Spoon F20C Short Block, Blueprinted and Balanced to Spoon Specifications - Factory Tolerance 2.0g - Spoon Tolerance 0.02g. 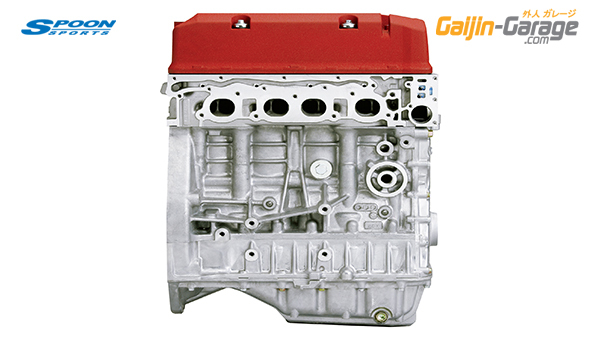 Based on Brand New OEM JDM F20C Short Block, With Spoon 2.2L Stroker Kit including Spoon Balanced Piston Set, Connecting Rods, Crank etc. Spoon 2P Head Gasket Included, 'F20C' Engine Stamping. Spoon F22C Short Block, Blueprinted and Balanced to Spoon Specifications - Factory Tolerance 2.0g - Spoon Tolerance 0.02g. 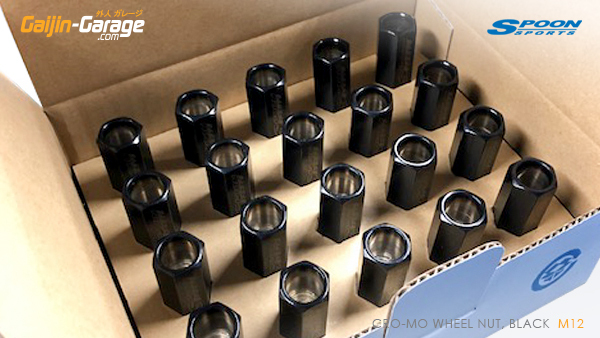 Based on Brand New OEM JDM F22C Short Block, including Spoon Balanced Piston Set, Connecting Rods, Crank etc. Spoon 2P Head Gasket Included, 'F22C' Engine Stamping. Ultra lightweight dry carbon ingition coil pack cover. Extreme heat and engine vibration in Race Car can cause the OEM Plastic Cap to shake loose or even crack. 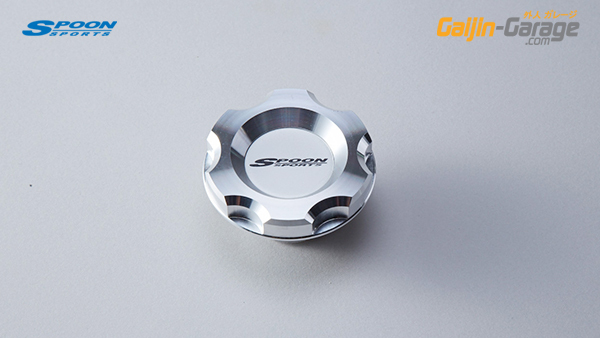 Spoon Oil Filler Cap made from High-Grade Aluminium, Expands at the same rate as your (Aluminium) Valve Cover, also has special rubber seal designed to reduce vibration transfer and hold cap in place. Spoon Head Gasket, Crankshaft, Connecting Rods, Forged Pistons, Rings, Pins, Oil Jet. Piston ring and piston of 0.25mm over bore size for mass production. Set of 4 Piston/Rings balanced within 1g. Actually measured each pair reference value was set at the equivalent of four groups. 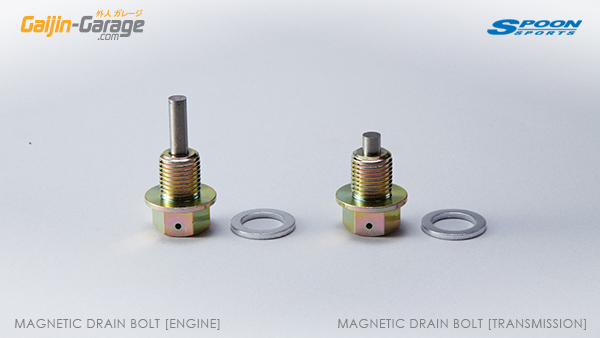 Torque in the intermediate range, is a response up, effective in reducing fuel consumption. To raise the pressure of the cooling system raises the boiling point of the coolant. Spoon Radiator Caps raise the pressure to increase the efficiency of the cooling system. 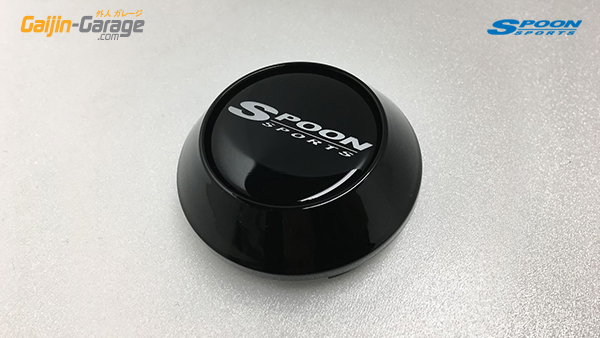 For the Complete Spoon Cooling System, we recomend using the Radiator Cap in combination withthe Spoon Thermo Switch, Spoon Thermostat and Spoon SEP Radiator Hoses. 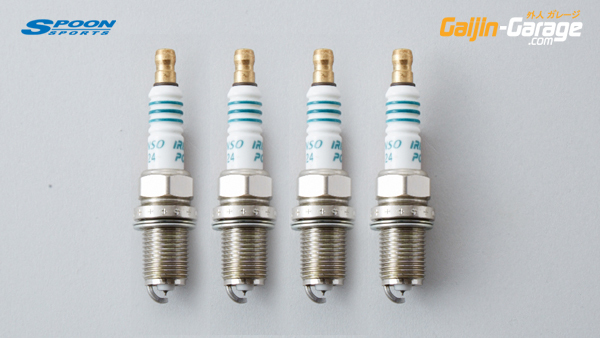 Please check with us for the correct type of Cap for use on your Vehicle - Type-D Caps suit newer Honda Radiators such as EG6/EG9/EG2/EK4/EK9/DC2/AP1/CL9 etc. Not suitable for use on Aftermarket radiators (please use Type-F). The standard Honda ECU is calibrated for fuel efficiency, low noise, low emissions and also for general ease of drivability for the public. 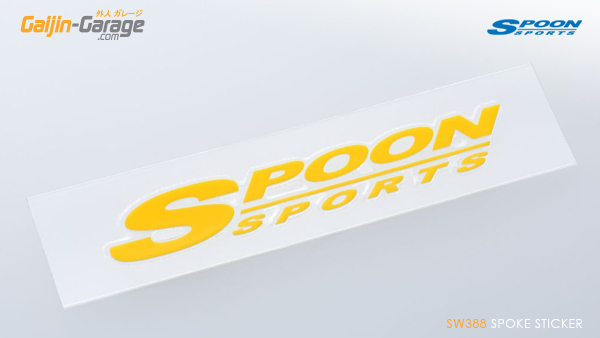 Spoon Sports has developed their program under a variety of extreme conditions with the focus on fast reponse, high output and maximum torque. For motorsports use, or vehicles with high-level tuning, please contact us for individual requests. For Race Use with A/C Compressor removed. The change to the real rubber type stated the hardness in the same shape, the liquid seal engine mount of mass production. Spring characteristics constants upgraded to 14kg/mm (Stock 6Kg/mm). Through the exchange, handling sharp characteristics can be obtained. The unpleasant vibration at idle area to be worried about is not generated almost. 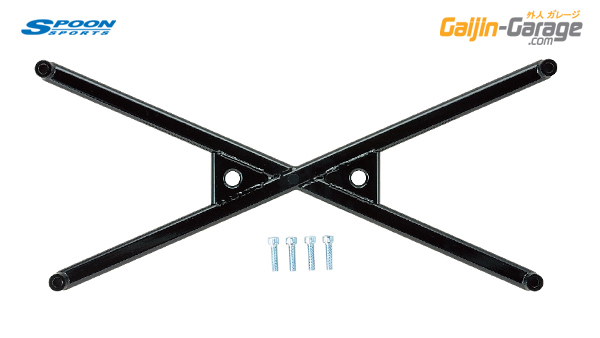 In addition, a dedicated mission mount bracket reinforced with burring plate is also included. 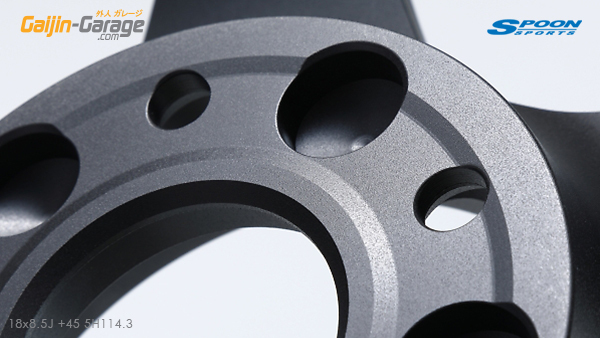 If you require further stiffening, please use the Spoon Engine Mount Ring 50816-AP1-000. Property safety running a solid can be obtained may be limited deflection angle of the engine at that fit on top of the engine mount reinforcement. You can to fit to mount normal. Not recommended for Street Use. 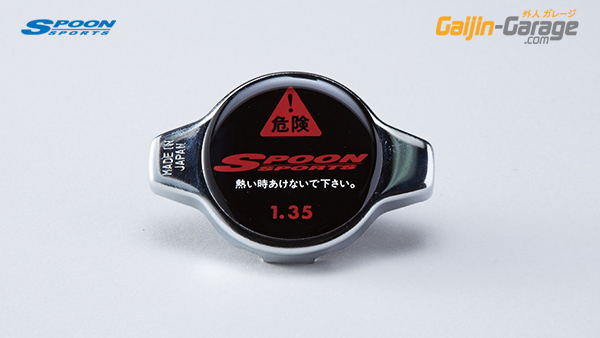 Spoon of engine torque damper, steering unstable feeling that occurs in the inevitable vibration or large swings in the pure liquid seal engine mount of Honda car. It is now possible to reduce significantly. In addition the damping coefficient that has been tuned to Honda vehicles only. Reduce such as idle vibration, was commercialized in almost ignored can be level. Mounting can be mounted in the bolt-on while watching the documentation that came with, Drilling work is also unnecessary. It is sold as a set of damper and the car make another dedicated bracket. In addition, it is recommended for use with engine mount set. ~35% Lighter than Standard Battery. Using less special alloy self-discharge to the electrode plate, a dilute sulfuric acid electrolyte by impregnating a special separator. Battery Fitting Kit required for installation. Based on Brand New Genuine Honda OEM JDM Throttle Body Assembly..
To maximise N/A Engine Power you must maximise the airflow into the intake chamber. Spoon Venturi Big Throttle Body designed for optimal air flow and velocity utilizing the Stock Throttle body Casting. 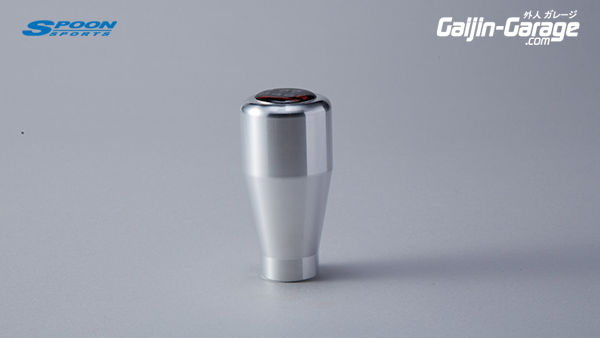 Diamond-Cut machining process with mirror-finish polished surface. Venturi effect funnel and large-diameter butterfly with eliptical cross-setion butterfly. 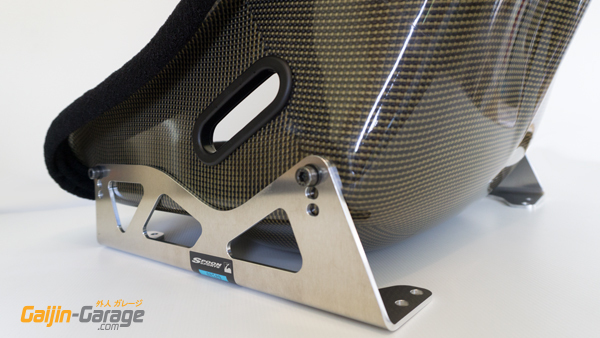 In Racing conditions you must feed your engine the coolest air charge possible - Spoon Carbon Air Duct directs air from the grille into your Stock Airbox for improved torque and engine cooling ability. 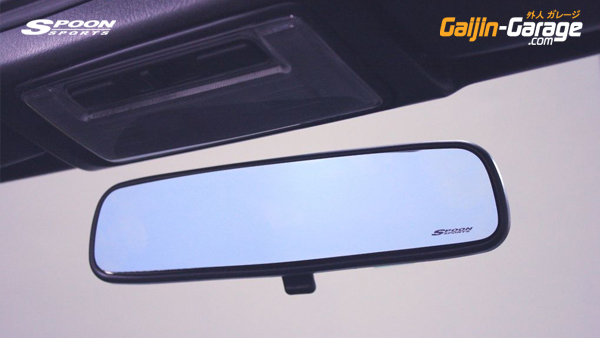 This version is FOR USE WITH STOCK BUMPER/HOOD - does not require any cutting or modification for installation. 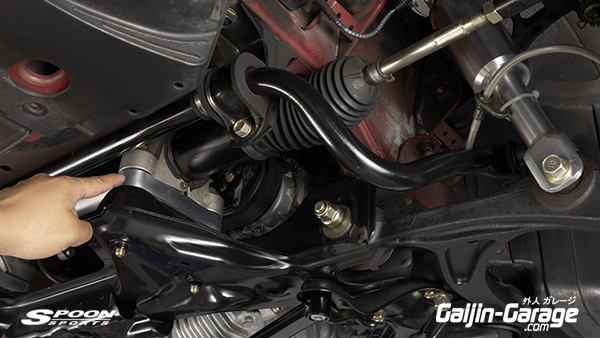 Spoon 4-2-1 Exhaust Manifold is a perfect balance of high torque and peak power. 45mm Primaries,48.5mm Secondaries, 60.5mm Collector. Includes Exhaust Manifold Gasket and Collector O-Rong/Donut. 60.5mm Pipe Diameter, 65mm Tip. N1 Muffler Kit for S2000 is designed for optimum torque and response plus maximum weight savings. S2000 system incorporates a single-exit design. Includes De-Cat Section. SUB-SILENCER [N1] can be used with this system for -5dB noise level reduction (SPP-18030-000). 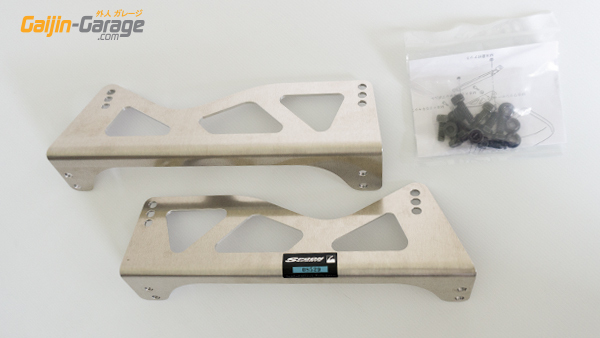 ■ Can be used with AP1 Rear Bumper with the unpainted section cut to fit. 94Db. has been achieved torque characteristics in pursuit of addition to the response up ease of handling in the whole area. 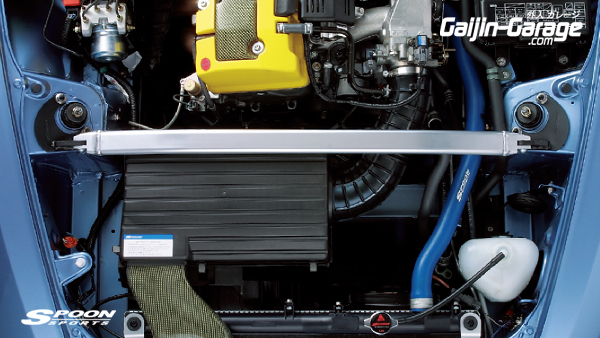 We promise a sense of power of the highest level as the volume level of the muffler in the inspection range. Really can experience the power UP, long patronized able exhaust, it is S. E. Is S. "Layout thought the town youth" that it has the layout to as much as possible ensure the minimum ground clearance, it is possible to Lowdown more in the inspection range. "Sound Tuning" only Ursua, quiet just not, we realize the exquisite sound, such as the theme result elegant and you tune to the volume and sound quality to the exciting. "Design" on the superimposed shape also trial and error of the main silencer and a finisher that becomes the main looks, we SEEKER is finished in a shape that seems most To good. Further up the blueprint of the titanium material to the finisher, S. by sandblasting E. It treats the S logo. SEEKER is the exhaust of testimony. ■ SES muffler KIT For EK4 / EK9 ■ layout: Single right out-catalyst behind exchange type (intermediate pipe and tail silencer SET product) material: stainless steel (to the finisher section blueprint titanium winding) Volume: proximity noise 94dB (internal measurements ) sold separately dedicated inner silencer ¥ 4,000 (base price) ※ to decrease the volume by about 5dB in the proximity noise. Spoon Transmission Overhaul - Rebuilt to Spoon specification, using brand new Genuine Honda OEM Parts. 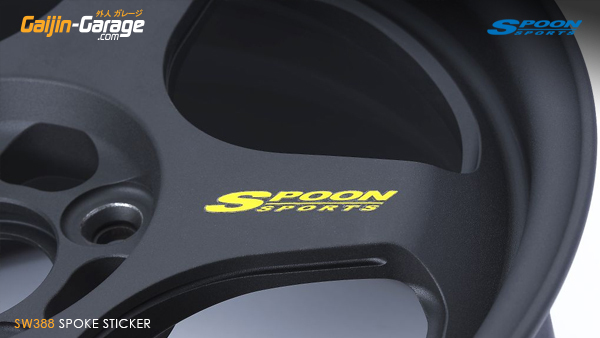 Built by one specialized Craftsman in a purpose-built Transmission Room, Spoon provides Transmissions for many Japanese Professional Race Teams - For Motorsport Use, please contact us for alternative Spoon Gearsets and other options. NTS / Exchange Service requires shipping your Transmission to Type One in Japan for work to be performed. Transmission will be returned with Numbered Plaque. 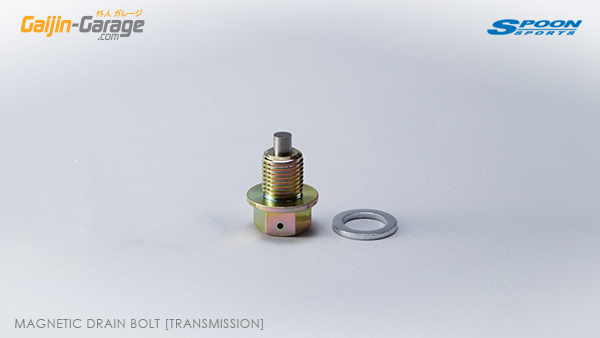 Pilot Bearing and Clutch Cover Mounting Bolts included. Can be used with Stock Clutch Cover. 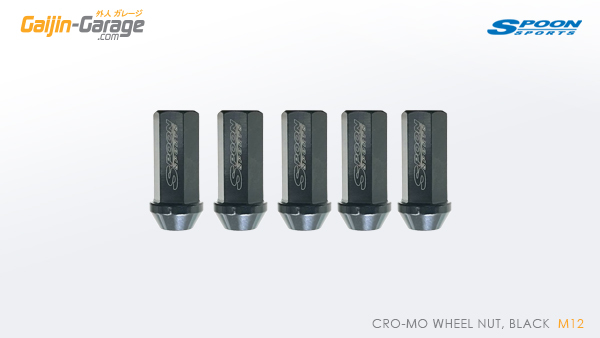 30% Higher crimp force without any increased pedal effort - Smooth operation and increased longevity. Resistant to judder sensation. Spoon Release Bearings are hand-modified for reduced friction to ensure maximum performance and reliability under Race Conditions. 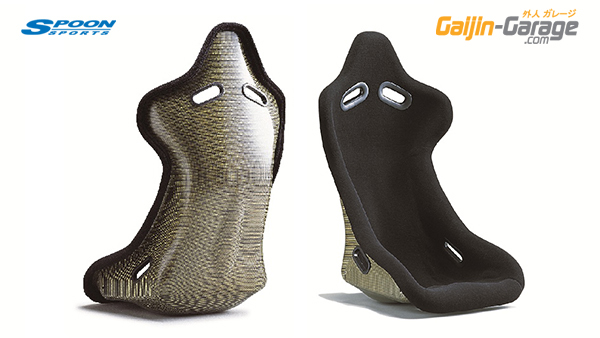 Alterations made to the product with the view to improve than mass production 1.3kg / cm2 to 1.2kg / cm2. It should be noted that the flywheel, and to all the brake rotor reference value this rotation balance. Under competition use, the standard blow-moulded resin boots can break down over 110C and result in rupture of the boot. If the Joint becomes un-lubricated, the resulting increase in friction and heat can lead to joint failure. Spoon have developed special Heat-Resistant Flourine-based rubber boots, with a special low-resistance contour design that was CAD Modelled and extensively tested in Endurance Racing. 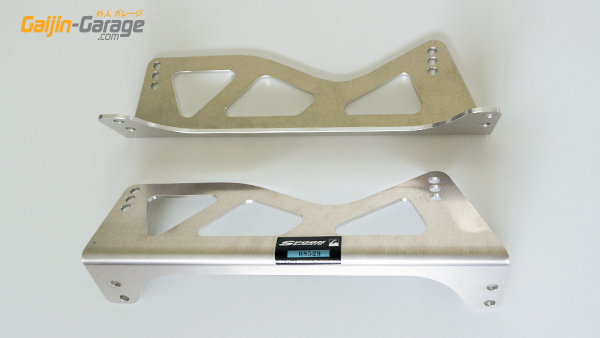 Essential upgrade for any S2000 that has been lowered in height! Required for use with any Mechanical LSD. 4.44. By replacing the final gear, it is valid, such as circuit racing can low gear of the final drive ratio. SPOON 1.75 Way Mechanical LSD for Competition Use. LSD Complete Overhaul Set - No need to replace your worn LSD - Rebuild it! 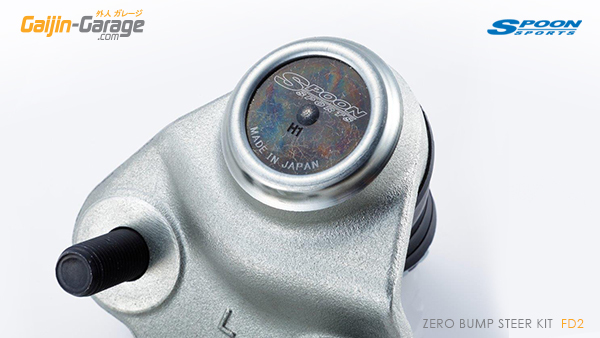 One of the few weak spots S2000 is the incorrect movement of the differential mount. By controlling the firm position of the differential to tail slide or when power ON, stiffness around the rear of the high yields. Shape remains as it is mass production. 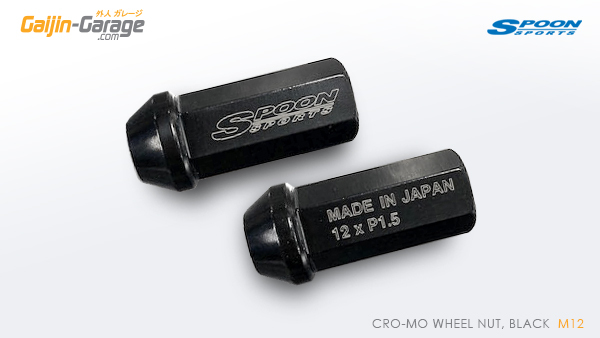 Straight-line stability, such as Iwao and sharp cornering can be obtained securely with a simple replacement. 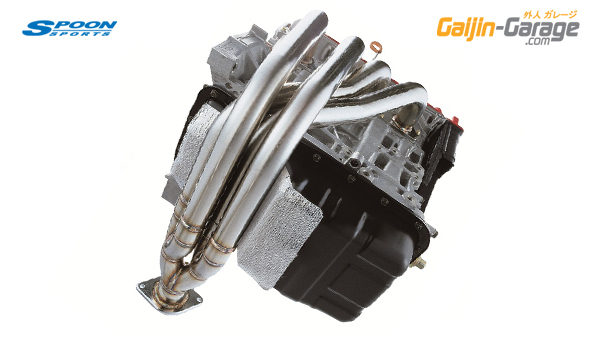 Spoon has developed a Differential Case with increased Oil Capacity to 2,200cc (3 times the standard Diff Capacity!) in order to prevent tooth surface rupture of the gear from oil starvation under harsh circuit driving conditions and extend the life of your Diff – Also greatly reduced oil temperature is achieved through the cooling effect which is especially important with the use of a mechanical LSD that will raise oil temperature substantially under the increased load. 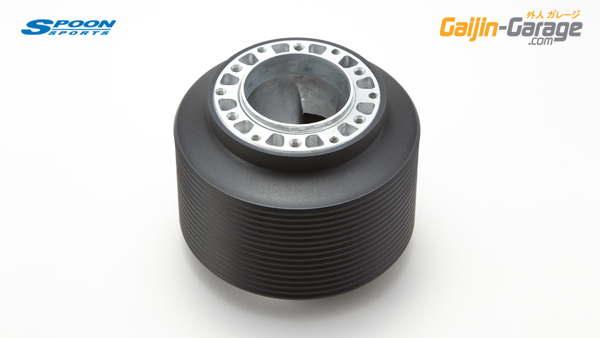 Based on the late-model (AP2) Differential Casing with increased ridgidity and wall thickness. Recommended for use with Mechanical LSD for Circuit Use. Spoon Differential Assembly uses late-model (AP2) Casing and End Caps for high strength and ridgidity. Built with New Genuine Honda OEM Parts, Spoon 1.75 Way Mechanical LSD and Spoon 4.4 Final Drive. Genuine pivot cover is about 0.25 clearance in the resin will be about 0.05 of clearance by exchanging the Company made ​​the pivot cover (made of phosphor bronze). This product will enable more direct and smooth shift change I have been subjected to a molybdenum coat. 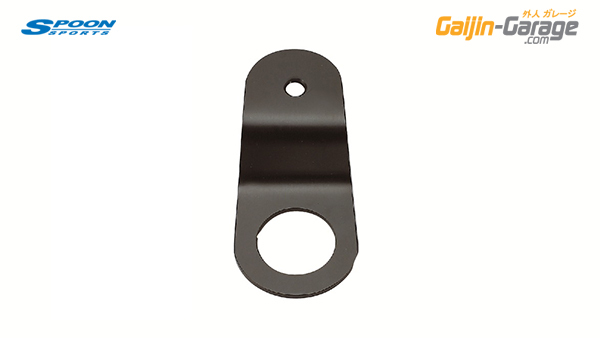 Material: adopt a phosphor bronze which is excellent in strength and spring characteristics Coating: molybdenum coated to contribute to the reduction-galling prevention of frictional resistance of the durability and initial running of the improvement and the sliding surface. Reinforces the tunnel floor by replacing the factory propeller shaft guard. Chassis rigidity is very high, the rigidity of the sub-frame body made the cornerstone of such suspension is missing. Without incomprehensible move is a no quality ride, to reinforce the sub-frame body in order to further increase the high kinetic performance, Spoon has developed a bar to reinforce the truss structure reinforcement the opening of the front and back. 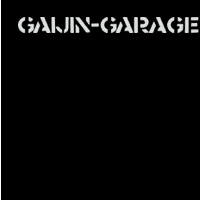 Especially Gazette plate, for the vehicle body side mounting portion of the upper arm moves, maneuverability is adversely affected, and possible trouble welding part of the body side mounting portion, such as come off also occurs in the worst case when using, for example, Slick Tyre wide resistance is high. From late model, reinforcement plate has also been added in the normal car, but it is a shortage in terms of rigidity. 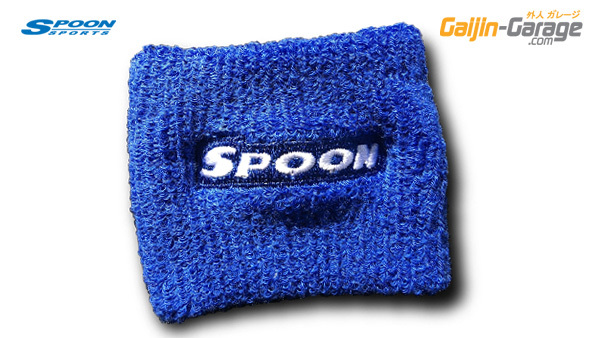 The Spoon, then framing the left and right tie together this upper arm mounting part, we have developed a plate Gazette obtained the maneuverability and tough rigidity. You have used a high-tensile steel strength you do not want to use only an integral part of the chassis, such as the material. There are two types of (AP1-100 ~ 120) Late Model (AP1-130 ~, AP2) in the previous fiscal year due to the difference in type mounting portion. But refer to the philosophy page the following detailed description of the set plate. 7-Point Roll Cage - as used in the Spoon Super-Taikyu Race Car. You can not use the Genuine Honda Convertible Roof, but the OEM hard top can be used with minimal modification. 4-Point Roll Cage - for use in Circuit Racing. 40φ Steel - Can be used with Genuine Honda Convertible Roof (including Glass-type) and OEM Hard Top .Clearance of Glass to Bar is very close. 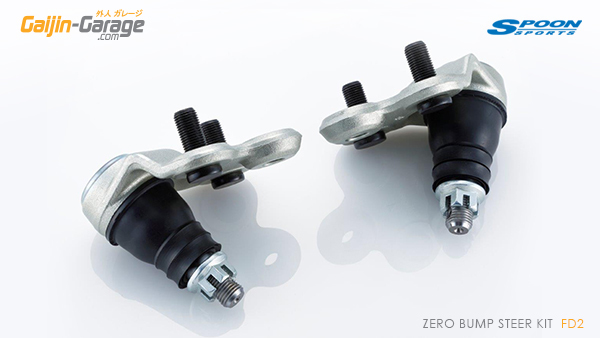 You can easily set it to negative camber direction at reduced vehicle height by replacing the front lower ball joint. At 20.50 degree oscillation angle entire circumference, camber adjustment range was set things uniform initial / steady rotation torque, such as elastic lift amount. Spoon Adjustable Control Arm Set. Straightness becomes honest and remove the Banpusutea the front, roll of ② in turn becomes natural, cut the steering ③, to return, but will be smooth. That is pointed to is become like work properly by raising the position of the steering gear box geometry that has deteriorated at reduced vehicle height. The two grip level of the tire and suspension goes up ground camber be optimized. 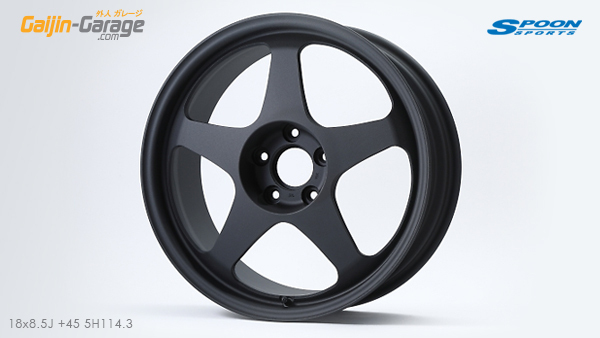 The material is to improve the corrosion resistance in anodized A6063. Spoon Complete Suspension Bush Set. 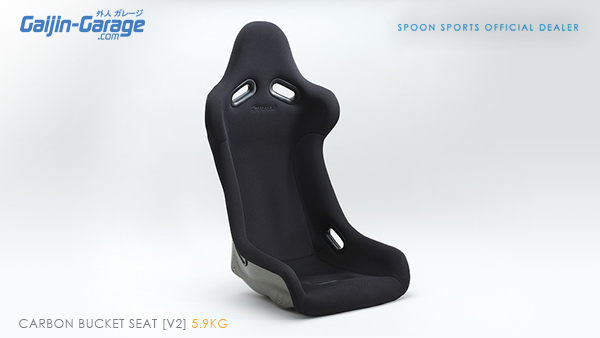 To gain experience of many at home and abroad participated in the endurance race start in SPOON is to pursue the handling of the car, it came to the development of parts, tuning of the proposal based on it. The focus on the rubber bushing moving precariously in front of Steering Gear Box, we were rigid and use of the AL material gear BOX of STD. There is no negative elements such as posture improved stability of the body even when you lift also in handling, not affected by the road surface and straightness of like an arrow. I will turn into a handling machine ideal chop fine with less steering angle. And vibration problem is not including the durability even if I use it in day-to-day. SAS (SEEKER Advanced suspension system) was introduced S2000 potential of the data that has been accumulated in order to maximize the full played this time full renewal. 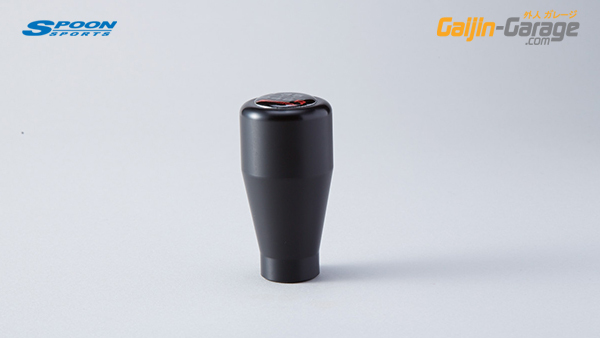 The old model RACING GEAR made ​​of, but the new model had been based on the damper is is based on the damper with the performance of the top class in the country. The only material this base damper that can be used to pursue the transient characteristic taste ultimate ride to seek (waveform of the damping force generating) is of our very good handling characteristics and absolute speed when switching of Banpuribanpu was. This base damper completed NEW SAS damper subjected to many of the modifier to KIT is the ultimate damper also say the culmination of SEEKER. Aged at repeated resetting of the street Winding circuit, we also feedback data obtained in the 24-hour race Nurburgring. A result, I was able to develop a flexible and robust damper overturn the image of fast damper ride is bad at the circuit from the root. Development vehicle dare without attaching parts such as wings, we promoted stepwise test from a state that does not rely on aerodynamic. Eventually was Nitsumari sunlight circuit in the state without the wing enough to run in 40 seconds flat. (Aerodynamic parts not installed engine Normal mounted tire is 265 Dunlop ZII) sunlight circuit is a very technical circuit without higher road surface μ. 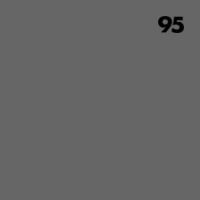 Straight finish of even short for purely suspension settings will lead to time. It took an enormous amount of time to complete, but was able to comfortably propose adaptable damper KIT to all-round from the person who wants to enjoy the handling of supreme to those who want to scraping the lap time at the circuit on the street. Culmination of SEEKER, please then by all means get the supreme damper KIT. ■ SAS damper KIT specification mono tube damping force 20-stage adjustment and the total length adjustment type in the cylinder using a high-strength pull carbon steel pipe using the duralumin material to the bracket HYPERCO 8inch spring is standard equipment ※ With regard to the spring rate, please contact us. 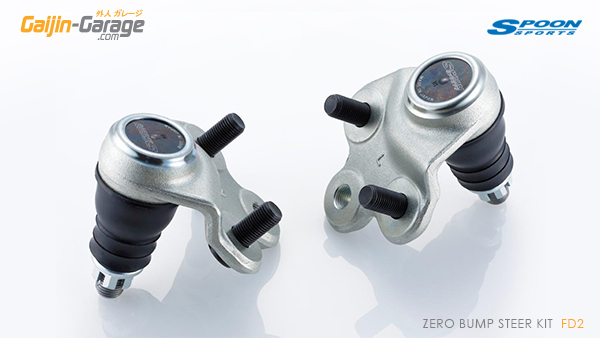 PLEASE NOTE: Caliper Clearance of various wheel combinations may require use of a Wheel Spacer – We recommend use of Spoon Extended Hub Bolts if you intend to run spacers. For Example: S2000 Genuine 16” (BBS) requires 15mm Wheel Spacer. 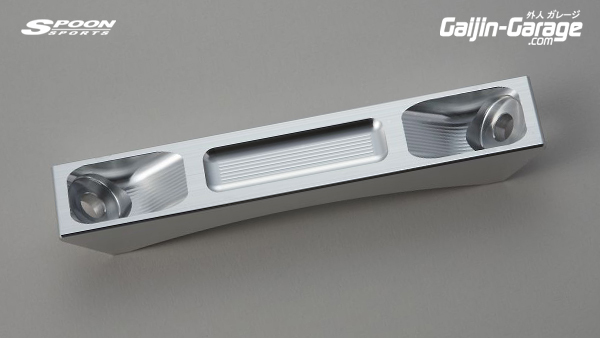 Regular ‘Drilled’ Rotors are prone to cracking as a result of the machining process – Spoon uses a specially designed ‘flap-type’ casting method where the holes are cast into the material rather than being machined. An ideal high-carbon content of the material was reached and a constant level ensured from each rotor to the next (unlike production rotors). Specifically designed hole-placement to ensure the most efficient cooling effect possible without any sacrifice to strength. Spoon rotors are far superior to standard S2000 Rotors and will even help provide a firm pedal feel and improved clamping ability. It is the front half spoiler that corresponds to the genuine front bumper of the 130 and later of AP1 and AP2. The front lift has been designed in order to achieve a significant improvement of actively suppressed ground resistance. Also its looks that it can be said that functional beauty gives a feeling of moderate volume to the front around, achieving a special looks that I do not think genuine bumper base. Desorption of the bumper is not required for installation. And secure it with basically double-sided tape and clip. 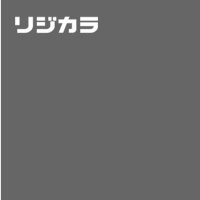 Also, dare without integrally spoiler of Mimi (the portion involving at both ends of the bumper), produced in a different material. A plate of accessory after mounting the spoiler was the method of fixing by tapping. This has been improved fitting accuracy is possible to prevent the spoiler breakage at the time of mounting. 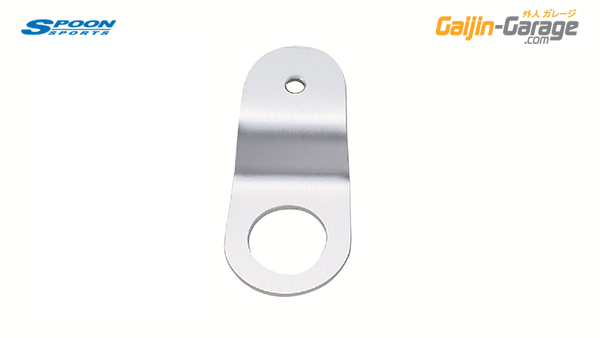 In addition, mounting is also possible without drilling in the bumper to be substituted for the double-sided tape without tapping only bumper side at the time of the mounting plate. ■ Manufactured by Forge Cutting Mrthod for maximum strength and minimum weight. ■ Clears Spoon Caliper without spacer. "R-SPIRIT" horn button of the dedicated will be attached. Side is kept low position seat rail which corresponds to the full bucket seat of. 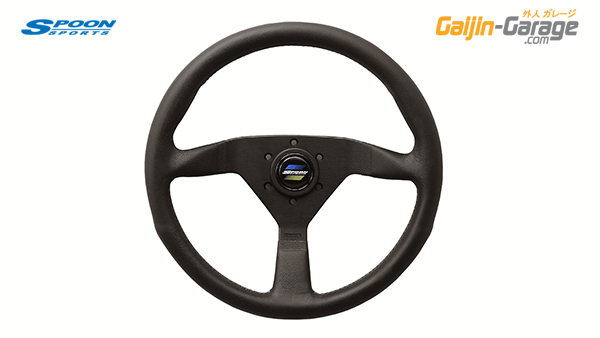 Since it is possible to adjust the front and rear, height, you can set the appropriate seat position in sports driving. Integrated 3-Guage Holder or 'Meter Hood'. ■ FRP Handmade Constuction (FRP). 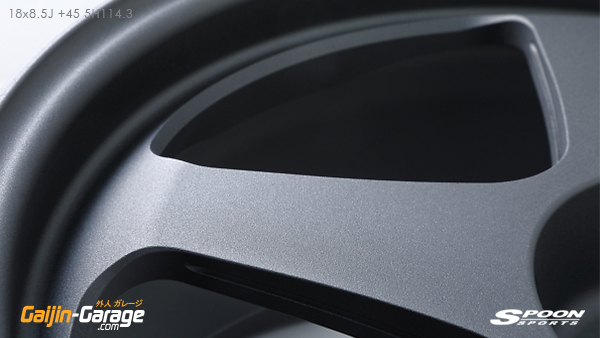 ■ Satin finish to match the Stock Dashboard's finish and look original. ■ 60mm inner diamater holes for fluch-mount of Defi Guages. ■ Can be made special-order for 52mm Guages (AEM) on request.